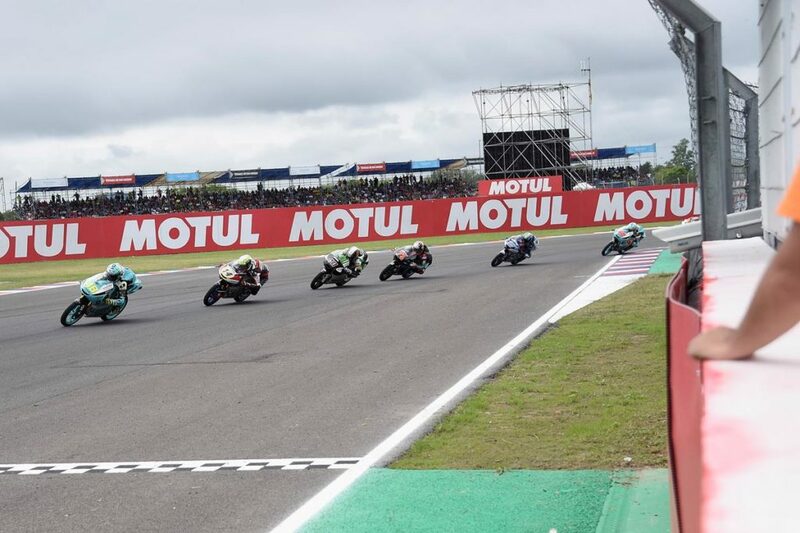 Lorenzo Dalla Porta and Marcos Ramirez have finished 7th and 9th respectively at Termas de Río Hondo after 21 tricky laps throughout the Argentinian track. A bittersweet feeling after a non-expected result for the team, but solid points that consolidate it at the top of the teams standings. On the Spaniard side, Ramirez had difficulties at the beginning, but as the laps went by, he started to overtake other riders and battled for the top10 positions. When the race was coming to its end and while Dalla Porta was fighting for the first three positions, suddenly, teammate Marcos Ramirez appeared from behind. He had been struggling up until that moment, but recovered many positions and even got to the lead of the race when there were four laps remaining. He did a tremendous comeback and stunned everyone. Ramirez finished in 9th. A hard race where everything was possible, as usual in Moto3. However, even the result hasn’t been the expected, Leopard Racing occupies the first position on team’s standings, Dalla Porta is the 2nd on the Championship and Ramirez the 7th tied on points with Binder and Canet (the 5th and the 6th respectively). Now it is time to rest a little a bit. See you all at the Circuit of the Americas the 14th of April! “I expected more from this race as yesterday I felt good. Today I didn’t have the same confidence and I struggled to overtake other riders. I’ve tried, I even got to the top but I couldn’t do more. I couldn’t fight for the win but I wanted to finish at least among the first five. At least we’ve scored some important points. Everything is quite tight so we will try to fight for the first positions at Austin”.